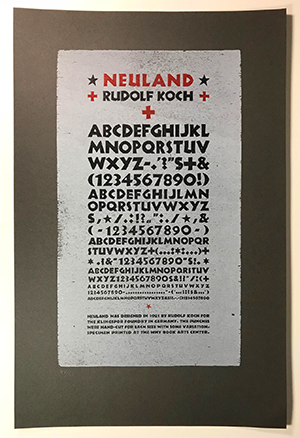 Neuland was designed in 1923 by Roudolf Koch for the Klingspor Foundry in Germany. The punches were hand-cut with some variations between each size. 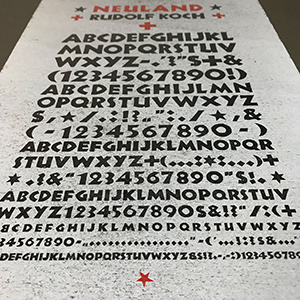 Printed at the Western New York Book Arts Center, with the metal version of Neuland in 6 different sizes, so that the variations can be compared. This 3 color letterpress poster was designed and printed by Richard Kegler in a numbered edition of 100 copies.